As their oversimplified post-EDM pablum proves, the Chainsmokers have built a career on pandering to their audience. And there's no better way to pander to your audience than to pay tribute to their city at their live show. One crucial tip, however: Make sure you triple check the spelling of the city. 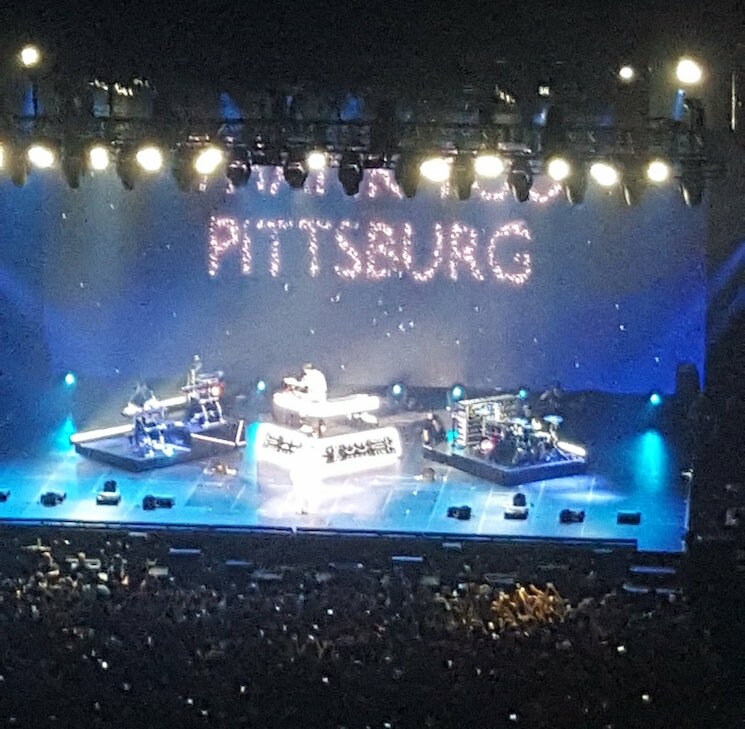 That's a lesson the Chainsmokers learned the hard way when they misspelled "Pittsburgh" at a recent Steel City stop. As you'll see above, the group displayed a giant banner that fell one letter short of the city's band name. Adding insult to injury, the group had spent much of their set salivating over just how great an audience Pittsburgh was (a statement they undoubtedly make to every city at every tour stop). The night and their set ended with an encore of "Last Day Alive," the last track of their first full-length album "Memories…Do Not Open," released on April 7. The full band version of the song was met with much applause, before being dampened with a misspelled "Thank You Pittsburg" sign that came down at show's end. It was obviously unfortunate, but even more so because [frontman Andrew] Taggart made it a point to talk about how great the city had been to The Chainsmokers and not every city was as enthusiastic as Pittsburgh. The pair attempted to repair their error by passing the buck. In a since-deleted tweet, they wrote, "lol totally putting our visual guy on blast for misspelling Pittsburgh at the end." Is this really something to "lol" about, guys? The Chainsmokers have upcoming shows in Clevelan, Cinsinatty, Sackramento and elsewhere. Check out their full list of tour dates here.